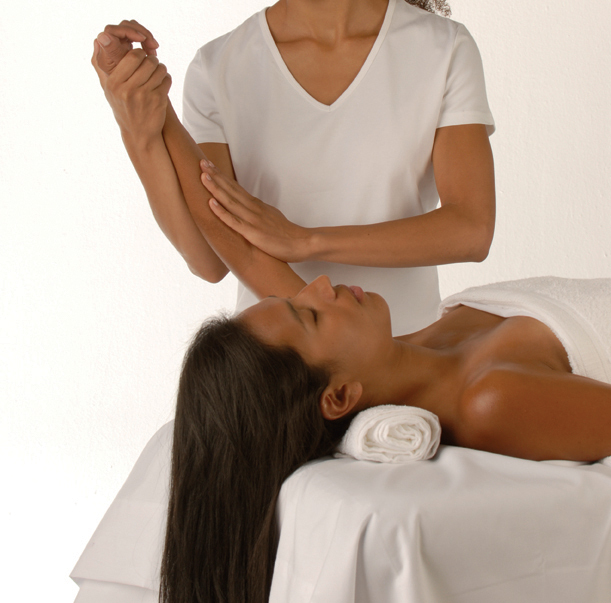 Lymphatic Drainage Massage in Freehold, New Jersey. Courtesy of ABMP. Lymphatic Drainage Massage & Lymphoedema Prevention Therapy address the gentle move of the lymph through the body, helping detoxification, preventing swelling, relieving pressure and enhancing the functioning of the immune system. As both a preventative and remedial technique, it can be used for a wide range of purposes including faster recovery from injury, reduction of swelling and discomfort after surgery or from pregnancy, and strengthened resistance to illness. Lymph drainage promotes detoxification and reduces the dimpling of cellulite. This therapy is recommended also for people who had one or more lymph nodes removed, in order to prevent development of lymphoedema (swelling). Manual lymphatic drainage was pioneered by Danish Drs. Emil Vodder and Estrid Vodder in the 1930s in France and Denmark, and later on their method spread around the world.